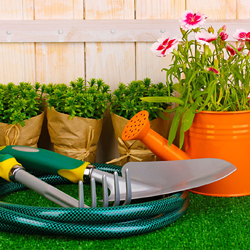 Established for more than 25 years, J&E Importers are the UK's leading importers of home, garden and pet products, supplying many major UK & International importers, distributors, DIY superstores, supermarkets, garden centres, high street chains, wholesalers and independent retailers. We have built a strong global reputation in the manufacture, export, import, supply and distribution of a range of quality, value-based products. Working alongside a network of suppliers, manufacturers, importers and exporters, we understand the need for selection, quality and promptness and ensure that the quality of products is always met. With talented product designers and a vision to create value-based products that are innovative, modern in design, and constantly evolving with the needs of today's consumer, our brands are quickly becoming some of the industry's favourites. J&E have the expertise to manage from the factory floor, straight to your door. Delivering high customer service satisfaction at all times, we pride ourselves on on-time deliveries. We have a track record of success and deliver what we promise. With our multiple Joint Venture factories and branch offices in Ningbo City, Zhejiang Province, China and Taipei City, Taiwan, we are very capable of offering our customers a first class service. Our own team can handle the full operation. To discover more about our company, our services, brands and the ranges we offer, please browse our site to see how we can help you. If you have any queries, please don't hesitate to get in touch and our dedicated service team will be more than happy to help. With over 25 years experience in manufacturing, import, supply and distribution, J&E Importers have built and developed a strong and dedicated team both in the UK and overseas. We specialise in direct import and distribution of products from a network of trusted manufacturers in China, Taiwan, India and Sri Lanka. With established ties to the Far East, we have the experience to deal with the whole importation process, from the factory floor, right to your door.